LANSING, Mich. — Sen. Stephanie Chang (D–Detroit) was among six legislators honored today by the Michigan Domestic and Sexual Violence Prevention and Treatment Board with the 2018 Champion of Justice Award. The award was created to recognize legislators who championed laws that protect and support sexual assault and domestic violence survivors in Michigan. Sen. Chang was honored for her efforts to have material on sexual assault and sexual harassment be provided in schools, and for her service and commitment to the Sexual Assault Tracking Commission when she was a state representative. Other award recipients included former Sen. Tonya Schuitmaker, former Rep. Laura Cox, Rep. Rebekah Warren (D–Ann Arbor), Rep. Kristy Pagan (D–Canton) and Rep. Diana Farrington (R–Utica). 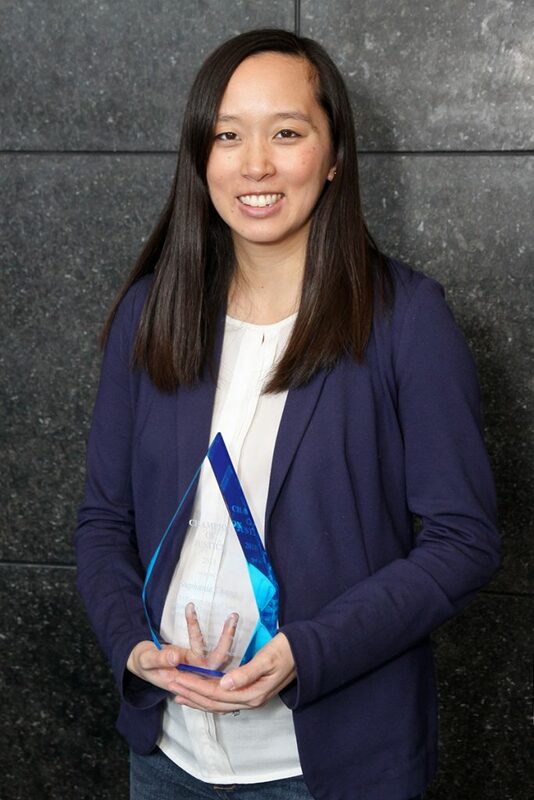 Sen. Stephanie Chang (D–Detroit) received the 2018 Champion of Justice Award from the Michigan Domestic and Sexual Violence Prevention and Treatment Board. The senator was honored for her efforts to protect and support sexual assault and domestic violence survivors in Michigan.